Convert the edited clip to a format to be exported to an HDV device (MPEG-TS format), and export the converted file to the HDV device. Before exporting, make sure to save your project. 1) Click [HDV] in the [Print to File] dialog box category tree. 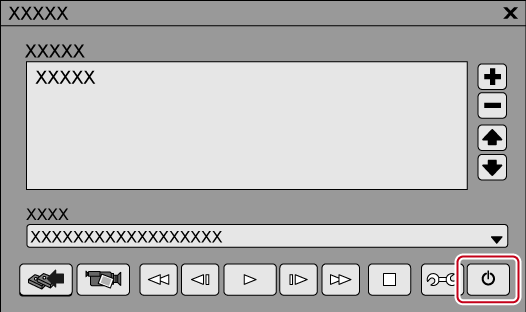 2) Click [HDV], and click [Export]. 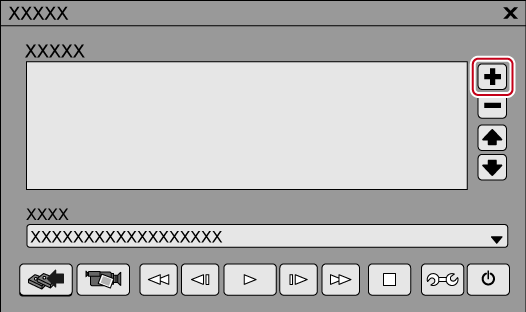 The [HDV] dialog box appears. Check this item to export a clip of a raw source without re-encoding. This increases the output speed. Only displayed when the export format frame rate is 23.98p. Select the format from [HDV24p Record (Canon XL-H1, Sony HVR-Z7 etc.)] or [HDV24p Scan (Sony HVR-V1, HDV1080i devices)]. Check this item to start up MPEG TS Writer automatically after export to file. Becomes enabled when [Launch MPEG TS Writer after export] is checked. If checked, the data in the generated file is printed to tape with MPEG TS Writer. A file is produced and registered in the bin. 1) Connect the PC IEEE1394 terminal to the HDV device with a DV cable. Set the HDV device to video mode (PLAY/EDIT, etc.). If your HDV device supports the HDV mode, set the device to the HDV mode. For more information on settings, see the instruction manual for your HDV device. 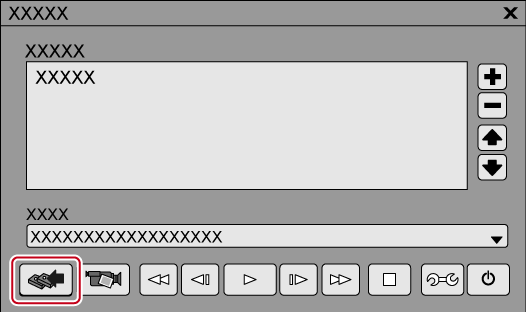 2) Click [Tools] on the menu bar, and click [MPEG TS Writer]. Click [Tools] in the bin, and click [MPEG TS Writer]. 3) Select [Microsoft AV/C Tape Subunit Device] from the [Device] list. 4) Click [Add File to List]. 5) Select the exported file, and click [Open].